Venice evidently needs to move away from an outdated model of industry at Marghera and conservation of its city centre. Employment levels have fallen in the industries of Marghera, while tourism has provided the main source of employment growth for Venice in recent years. 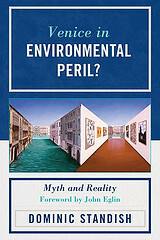 As examined in my book Venice in Environmental Peril? Myth and Reality (2012), Venice needs to modernise its city centre and embrace tourism, which should be developed on the outer islands and the mainland. In addition, Marghera offers opportunities for new types of industries. We welcome the proposals to develop the science and research hub in Marghera, known as VEGA. However, the new plan’s proposal for “the development of sustainable productive activities” raises concerns. An example of such activities was the opening of a hydrogen energy plant at Fusina near Marghera in July 2010 that was reported as producing energy without emissions of carbon dioxide (CO2). This plant cost €50 million, has the potential to generate 12 to 16 megawatts of electricity and supplies enough electricity for 20,000 households a year. Yet this capacity is tiny if compared to approximately 1,000 megawatts from a nuclear power station, which emits no CO2 during electricity generation. The hydrogen plant was publicised as a unique innovation in renewable energy, when more efficient alternatives should have been explored for this location and Marghera. The proposal to invest in sustainable development activities at Marghera coincides with an announcement by Environment Minister Clini on 17 April 2012 to continue subsidising renewable energy in Italy, which has cost billions of euros over the last few years but produced minimal amounts of energy. Incentive schemes to subsidise Italian renewable energy rose from €1.7 billion in 2008, to €3.4 billion in 2010 and an estimated €6.4 billion in 2011. But far too much of this expenditure has been provided to support small-scale energy installations that produce tiny amounts of power for a relatively high cost, such as the hydrogen plant at Fusina. It remains to be seen how the new investment for Marghera will be allocated. We favour development over sustainable development! ← Don’t panic about new sinking data for Venice!